Love and Radiation know how to work hard and play harder. 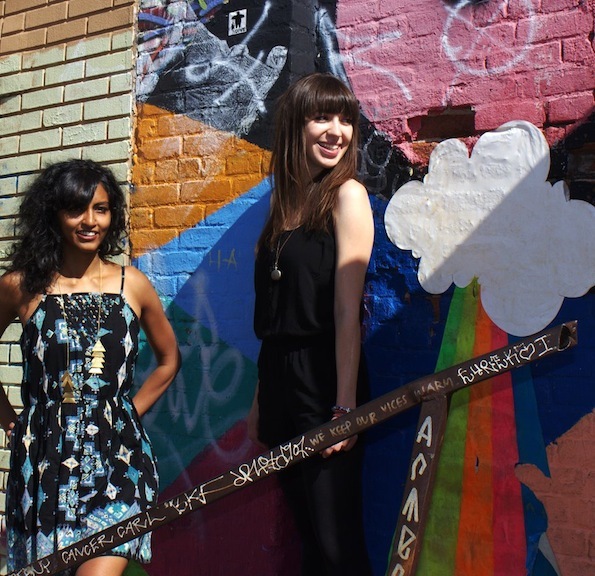 When Adele Nicholas and Lakshmi Ramgopal aren’t protecting people’s civil rights (Nicholas is a civil rights attorney) or obtaining advanced degrees (Ramgopal is a doctoral student), the duo better known as Love and Radiation are making waves in Chicago’s growing synth-pop scene. Their sound is the perfect combination of edgy and beautiful, where pulsating synth lines keep time for airy delicate vocals, as if Grimes and Lykke Li started a side-project together. The band’s forthcoming debut album titled You Will Know Me, out April 9th, explores themes of darkness and ritualism with new insight and without and over-brooding sense of melodrama. Look for Love and Radiation on the east coast this April and May 2013.